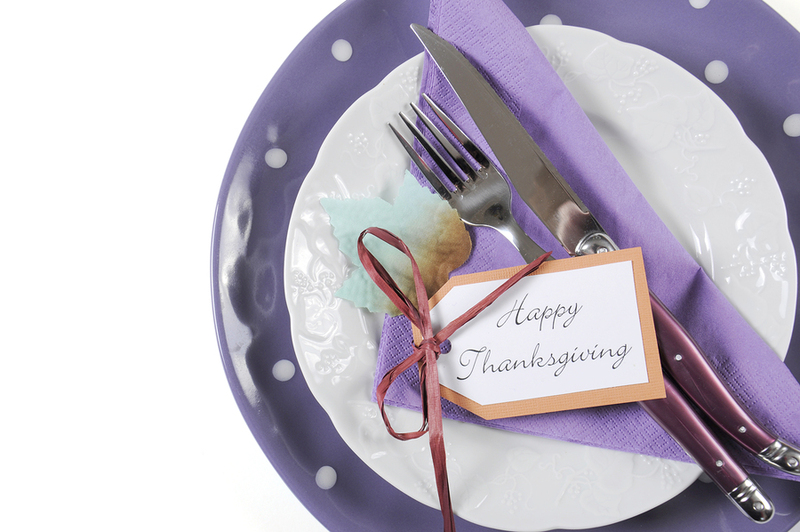 Will you host a Thanksgiving gathering this year? The thought of all of the work that goes into it can be overwhelming, especially if you are a first-time host. It is possible to host the big gathering and still have enough energy to enjoy your guests, however. The key to stress-free entertaining is preparation. Our Thanksgiving entertaining checklist gives you a few things to do each week so that entertaining isn’t an overwhelming task. (We’ve also included a downloadable PDF version). Follow our checklist and get ready to enjoy yourself! Make your menu (and shopping list). You might already have a traditional menu. Starting early this year, however, gives you the chance to be creative. Volunteers can be your children, your spouse, or friends. Ask for help now so that everyone is ready to do their part. Here are a few tasks to assign to volunteers: preparing a side dish, watching your children while you grocery shop or polishing the silverware. Will you handle all of the cooking or enlist the help of a caterer? Do you plan on cleaning your home yourself, or hiring a house cleaning service? Decide what you will handle, and what you will outsource. Create your guest list and send your invitations. Take stock of your home. Walk through your home, and take a fresh look through the eyes of your guests. Do you need to refresh the decorations in the guest bathroom? Does your lawn need sprucing? Do you need the decks cleaned? Make your list, and decide who will take care of these tasks. Take stock of your decorations, fine china and silverware. Your fine china hasn’t been used in several months, and your decorations have been in boxes for almost a year. Inspect them to decide what you need to clean, repair, or purchase. Place your order with the caterer. The best time to have a professional cleaning service perform a detail cleaning is the week before a holiday. It stands to reason that this week is also the busiest time for home cleaning services. Make your appointment now to reserve your space on the schedule. 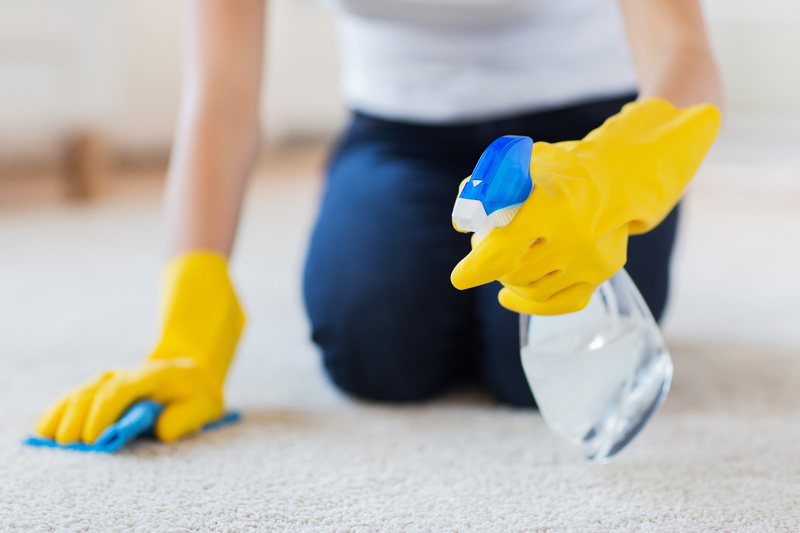 If you decide to do the cleaning yourself, set 6 or more hours aside the weekend before to get your home in tip-top shape. If you haven’t already, it is time to finalize the shopping list. Highlight the non-perishable items that can be purchased ahead of time. Buy everything that you do not need to purchase fresh. This can include canned goods, beverages, and spices. Shopping 2-3 weeks before Thanksgiving also has the added benefit of helping you avoid the crowds. Tip – clear space in the your pantry and refrigerator before you go shopping so that you have somewhere to store your items. You’ll get the best selection of decorations by buying them now. A week before is the best time to clean your home from top to bottom. If you’ve scheduled an appointment with a house cleaning service, this is a task you can easily check off your list. If you haven’t, get your supplies and block off at least 6 hours. Are there any dishes (or portions of dishes) that you can prepare and freeze ahead of time? Go ahead and get those out of the way. Polish your silver and wash the fine china. While you are getting your home cleaned, go ahead and clean your silverware and fine china. Better yet, have your teenagers handle this task. If you do not have small children, you can probably set up your decorations several days to a week in advance. Set up your dining room. Get your table and service areas as close to ready as you can. This provides another opportunity for you to make certain you have enough serving dishes and utensils. Shop for perishable items (flowers, vegetables, fruit, etc.). The night before Thanksgiving, walk through the areas your guests will be visiting to see if there is anything that needs to be cleaned or repaired. This is probably when you will be preparing most of your dinner. Our tips will help you keep your kitchen clean while you are cooking. Prepare your last minute dishes, making sure to keep your kitchen clean as you do. Do a last minute walk-through. Relax, and get ready to enjoy your guests! I hope this checklist comes in handy as you prepare for your Thanksgiving feast. Feel free to comment and share your entertaining tips. Can you believe it is Fall already? The holiday season will be here before you know it. When you are preparing for festive gatherings, the key to stress-free entertaining is preparation. Our checklist gives you a few things to do each week, so that entertaining isn’t an overwhelming task. Follow our checklist and get ready to enjoy yourself along with your guests. Make your menu (and shopping list).You probably already have a traditional menu. Starting early this year, however, gives you the chance to be creative. Perhaps this is the year to try lamb instead of ham? Recruit volunteers.Volunteers can be your children, your spouse, or friends. Ask for help now so that everyone is ready to do their part. Here are a few tasks to assign to volunteers: preparing a side dish, watching your children while you grocery shop, preparing the Easter eggs, choosing games, or polishing the silverware. Make your outsourcing decisions.Will you handle all of the cooking or enlist the help of a caterer? Do you plan on cleaning your home yourself, or hiring a house cleaning service? Decide what you will handle, and what you will outsource. Create your guest list, and invite your guests. Take stock of your home.Walk through your home, and take a fresh look through the eyes of your guests. Do you need to refresh the towels in the guest bathroom? Does your lawn need sprucing? Do you need the decks cleaned? Make your list, and decide who will take care of these items. Take stock of your decorations, fine china and silverware.Your fine china hasn’t been used in several months, and your decorations have been in boxes for almost a year. Inspect them to decide what you need to clean, repair, or purchase. Schedule your house cleaning.The best time to have your cleaning service perform a detail cleaning is the week before a holiday. It stands to reason that this week is also the busiest time for home cleaning services. Make your appointment now to reserve your space on the schedule.If you decide to do the cleaning yourself, set 6 or more hours aside the weekend before to get your home in tip-top shape. Finalize your shopping list.If you haven’t already, it is time to finalize the shopping list. Highlight the non-perishable items that can be purchased ahead of time. Shop for your non-perishables.Buy everything that you do not need to purchase fresh. This can include canned goods, beverages, spices, and decorations. Shopping 2-3 weeks before Easter also has the added benefit of helping you avoid the crowds. Tip – clear space in the your pantry and refrigerator before you go shopping so that you have somewhere to store your items. Buy your decorations.You’ll get the best selection of decorations by buying them now. Clean your home.A week before is the best time to clean the home from top to bottom. If you’ve scheduled an appointment with a house cleaning service, this is a task you can easily check off your list. If you haven’t, get your supplies and block off at least 6 hours. Prepare your food.Are there any dishes (or portions of dishes) that you can prepare and freeze ahead of time? Go ahead and get those out of the way. Polish your silver, and wash the fine china.While you are getting your home cleaned, go ahead and clean your silverware and fine china. Better yet, have your teenagers handle this task. 1 to 3 Days before. Decorate.If you do not have small children, you can probably set up your decorations several days to a week in advance. 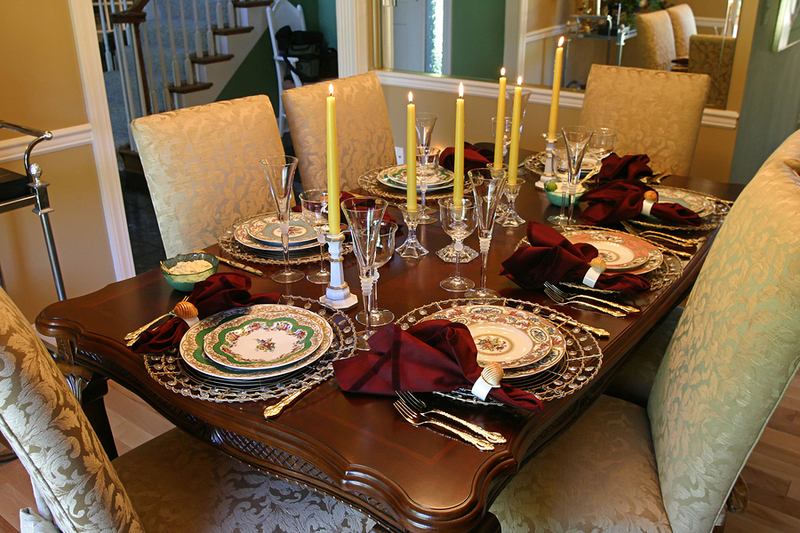 Set up your dining room.Get your table and service areas as close to ready as you can. This provides another opportunity for you to make certain you have enough serving dishes and utensils. Shop for fresh items.Buy flowers, vegetables or fruit. Walk-through.The night before Easter, walk through the areas your guests will be visiting to see if there is anything that needs to be cleaned or repaired. Prepare the food.This is probably when you will be preparing most of your dinner. Our tips will help you keep your kitchen clean while you are cooking. Relax, and get ready to enjoy your guests. I hope this checklist comes in handy as you prepare for Easter entertaining. Feel free to comment and share your Easter entertaining tips. What are your secrets for stress-free entertaining? It’s springtime, a time for renewal. Even though spring cleaning is hard work, the rewards are so worth it! Use our checklist to organize your spring cleaning tasks. Of course, if you’d rather be outside enjoying the sunshine, consider hiring a professional house cleaning service. To read what we include in our Atlanta detail cleaning services, click here. Vacuum all of your carpets. Move the furniture out of the way when you vacuum. Clean your rugs. Move your area rugs out of the way so that you can clean the floors underneath. Clean all hard surface floors. Vacuum and wash down stairs, including spindles. Clean the floors in your closets. Start from top to bottom, dust ceilings, corners, ceiling fans, etc. to remove dust and cobwebs. Wash your winter bed linens and pack them away. Place clean, lighter-weight linens on all beds; change the window coverings if necessary. Scrub the inside and outside of toilets. Remove decorative covering(s) while cleaning. Clean the shower and tub, including the tile and grout. Scrub all sinks, including drains. Clean countertops, removing and wiping down all items. Washing down all kitchen appliance exteriors and counter tops. Clean the inside of your microwave. Scour the sink, including drains. Move appliances to clean the floor underneath. Scrub stovetop and drip pans. Clean the top and insides of refrigerator. Remove items from drawers and cabinets. Wipe down or vacuum blinds and shutters. Wash windows, windowsills, woodwork, molding and trim. Clean all mirrors and class. Do you have any spring cleaning tasks you’d like to share? Want More Spring Cleaning Tips? When you are preparing for a festive gathering such as Easter dinner, the key to stress-free entertaining is preparation. Our checklist gives you a few things to do each week, so that entertaining isn’t an overwhelming task. Follow our checklist and get ready to enjoy the Easter festivities along with your guests. Make your menu (and shopping list).You probably already have a traditional Easter menu. Starting early this year, however, gives you the chance to be creative. Perhaps this is the year to try lamb instead of ham? Take stock of your home.Walk through your home, and take a fresh look through the eyes of your guests. Do you need to refresh the towels in the guest bathroom? Does your lawn need sprucing for the Easter Egg hunt? Do you need the decks cleaned? Make your list, and decide who will take care of these items. Take stock of your decorations, fine china and silverware.Your fine china hasn’t been used in several months, and your Easter decorations have been in boxes for almost a year. Inspect them to decide what you need to clean, repair, or purchase. Schedule your house cleaning.The best time to have your cleaning service perform a detail cleaning is the week before Easter. It stands to reason that this week is also the busiest time for home cleaning services. Make your appointment now to reserve your space on the schedule. If you decide to do the cleaning yourself, set several hours aside time the weekend before to get your home in tip-top shape. Buy your decorations and Easter basket supplies.Get the best selection of decorations and Easter basket items by buying them now. Clean your home.A week before is the best time to clean the home from top to bottom. If you’ve scheduled an appointment with a house cleaning service, this is a task you can easily check off your list. If you haven’t, get your supplies and block off several hours. Hide the eggs.If you are having an Easter egg hunt, hide the eggs the night before or early in the morning. Hopefully, this is a task you assigned to a volunteer! 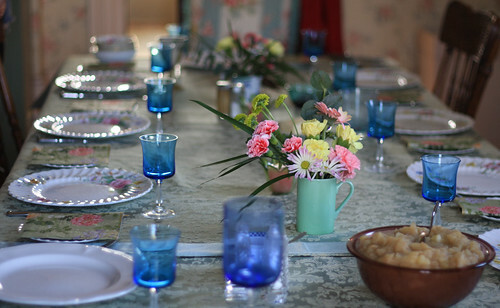 What are your secrets for a stress-free Easter dinner?